Jack explores museums and all the fascinating things they have to offer. Join him on his adventures through the wonderful and often downright bizarre world of museums. Come and discover museums you never knew you wanted to visit! Or, how I started to investigate my family’s big claim to fame. I’m pretty sure that it is a truth universally acknowledged that every family has a story or two (or in the case of the more interesting ones, maybe even three) that harkens back to a glorious moment in the history of the clan. My uncles have been investigating my paternal line and some interesting things have come up. It seems that one of our ancestors made part of a Royal Wedding Dress. Exactly which Royal robe is something of a contested issue and changes depending on which member of the family you speak to; some claim it was Queen Victoria’s nuptial gown, but the most common assertion is that a Princess Alexandra wore the fabled dress. 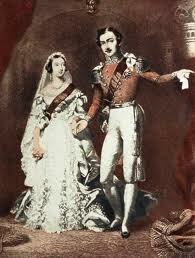 Victoria on her wedding day... could this be the famous dress? But where do I start? 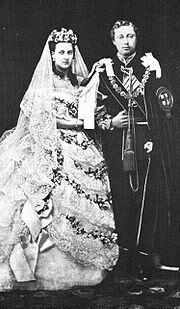 Well, first I checked the dates of the various royal weddings, starting with Queen Victoria’s (1840)and then I investigated the dresses. But did any of the detective work bear fruit? Could Princess Alexandra be wearing the fabled gown? I admit that this is nowhere near compelling evidence that neither proves nor disproves the story but the smoky threads of family-folktale are starting to become more substantial silky strands which I might be able to weave into a solid story. Get your shovel, we’re going to dig deeper. Sometimes you just need to sit on a beach and listen to the waves. Robyn is a queen. There was something so powerful in a whole palace full of people singing along to Dancing On My Own. What a song. What a woman. What a night. Trials of Oscar Wilde in the Royal Pavilion in #Brighton this evening. We are in the very room where Wilde gave two lectures; one on The Value of Art in Modern Life and another on Dress. Very Wildean topics indeed.